By: Valeria Luzhanskaya posted on August 19, 2018 in Graphics . We are glad to draw your attention to our new Free Vector Fruit And Vegetables Elements for creating the best design and implementing interesting ideas into life. Donwload this set and use it for your private and commercial needs. Enjoy! Use Photoshop to make all the customizations: Get Photoshop as part of a Creative Cloud single-app plan for just US$19.99/mo. These Free Vector Fruit And Vegetables Elements can be good for implementing a lot of designers ideas as well. 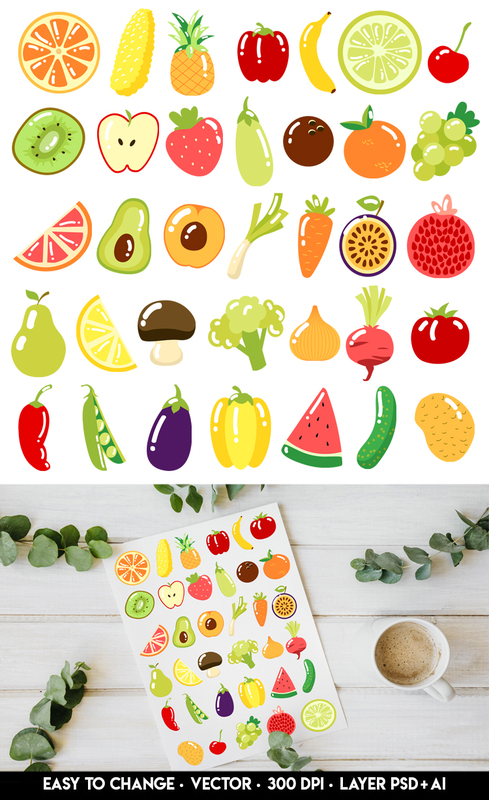 Enjoy these Free Vector Fruit And Vegetables Elements from Free-PSD-Templates and follow us on Facebook!